Road Freight NSW (RFNSW) has highlighted the state trucking industry’s continued inertia on ever-increasing stevedore infrastructure surcharge hikes at Port Botany. The New South Wales government has given no public signal that it will take control of a situation it alone can legally affect. RFNSW points out that for the third time in 18 months, Patrick has announced another round of charges on transport carriers at its Port Botany terminal, with the unilateral price rise again arriving without warning, or consultation with industry. From March 4, Patrick will apply a new infrastructure surcharge of $77.50 (plus GST) for all laden containers in and out of the port, an 88 per cent increase on the $41.10 fee which it only set last July. 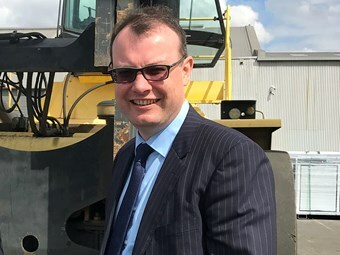 "Unfortunately, with no regulation, transparency or accountability, it’s now a ‘free for all’ down at Port Botany," RFNSW chief executive Simon O’Hara says. "Stevedores are getting away with adding to their substantial revenue stream by whacking truck operators with ever-increasing port charges, without intervention from the Government or regulators. "Truck operators are now questioning why the Government is doing nothing to help them? "There’s little doubt that the stevedores’ ongoing cost-shifting will be passed through the supply chain, with NSW consumers ultimately paying more for their everyday goods and adding to their cost of living pressures. "That’s why we’re surprised that the government won’t listen and act on the concerns of our members, many of whom are small, family-run businesses, who are already doing it tough."